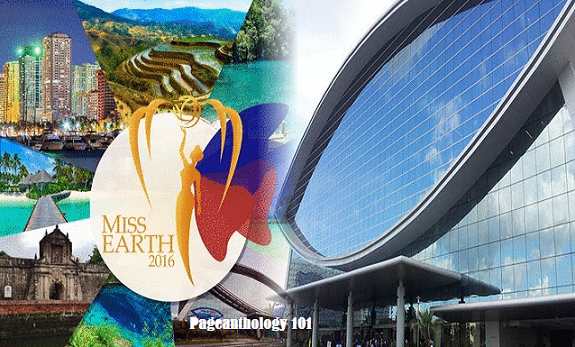 Miss Universe and Miss Earth Pageants are going to happen both in the Philippines in the same venue. Two of the biggest and premier beauty pageants in the world will come to the country where it is more fun to be in. Miss Earth is coming back home to the Philippines. This year's delegates will experience a country where it's more fun to be in. Grand Coronation on October 29 at the Mall of Asia (MOA) Arena. Last year, Miss Earth 2015 was held at Marx Halle in Vienna, Austria. It was the first time the pageant was held in Europe and outside of Asia wherein the first back to back victories in Miss Earth history: Angelia Ong of the Philippines crowned by Jamie Herrell of the Philippines. READ ALSO : Cloie Syquia Skarne is MISS EARTH SWEDEN 2016! Mall of Asia Arena is an indoor arena within the SM Mall of Asia complex, in Pasay, Philippines. It has a seating capacity of 15,000 for sporting events, and a full house capacity of 20,000. The Arena officially opened on June 16, 2012. It has retractable seats and a 2,000-capacity car park building. This would be the first Miss Earth event to be held in MOA Arena.